You can't attach R Energy cards from your hand to Moltres. If there are any Energy cards in your discard pile, flip a coin. If heads, attach 1 of them to Moltres. Flip a coin. 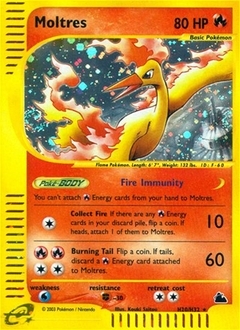 If tails, discard a Energy card attached to Moltres.